When you are looking for a job, be it your first job, a change of careers or coming back after a long absence from the job scene occasionally a slight hurdle pops up along the way that can be a stumbling block for you in your search for a job. Finding work can be a full time job in itself so here are some tips for when you are looking for a job – 8 mistakes to avoid. #1 –You need to stay positive. If you find yourself thinking your way out of a potential new job opportunity through fear of the unknown, worry or self doubt – don’t. Negative thoughts will only bring you down. You may end up spending days or weeks stressing and worrying and this will grind your search for a job to a complete stop. You can’t read the mind of employers so you need to relax, stay focused and positive. Often jobs come along when you least expect them, and from the oddest source so if you have any doubts about who to send your resume to – DON’T! Send your resume anyway – you never know! #2 – Be fearless. You need to think of your career, wether a new beginning or change as an adventure – and where there is adventure there is risk – this all part and parcel of life. When looking for work you must remain brave and open to any new challenges. 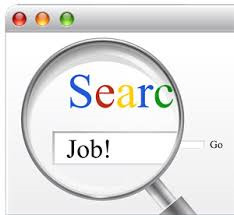 Give your search for a job 100% this way you’ll find the job you want. How do you conquer your fears? Simply by facing your fears – head on. Make a list of your goals, what do you want to achieve? When do you want to achieve them? Do one thing off your list right now – TODAY! Do two more tasks off your list tomorrow – this will get you started, give you the momentum to lead you to not only accomplish more, but will help you to stay positive throughout your search for work. #3 – Perfection is great – but don’t let it define you. For some people they feel like everything must be perfect before they can move ahead, the perfect CV, the perfect look, the perfect job. This can hamper your search for a job long before it even starts. Your goal needs to be to move ahead and progress it’s not about perfection. While this might not be what you want when looking for a job progression, getting interviews is far more important than how perfect everything is. The best way to move forward is to make a list of where you want to be and the steps to achieving this goal. #4 – Do it yourself. Searching for a job consists of many different parts – or layers – and this is why it’s so tempting to rely upon job websites only – it’s simple to do this, this and this and you’re done, so you feel like you have achieved something. Instead why not make your own system? While there are some very boring tasks associated with job searching you need to do them, re-work your CV, check newspapers, company websites, Facebook and other social media sites and classified sites and look for jobs constantly throughout the day, that way you’ll be on top of any new openings as soon as they become available. Be sure to come back again and join us for part 2 – Looking for a job – 8 mistakes to avoid.